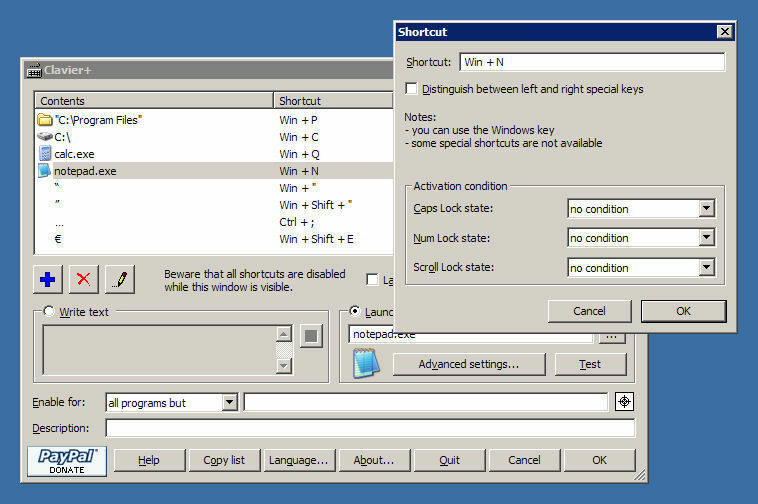 Clavier+ (portable version) is a simple tool that lets to make and edit Windows keyboard shortcuts. It lets you use almost any keys for shortcuts, including the Windows key, which is used by Windows itself for a lot of shortcuts. Not only can you use this software to create shortcuts to launch apps, you can also use the keyboard shortcuts to paste text. For example, you could have a keyboard shortcut for your e-mail address.